Investing in notes is a great way to take your first step into the real estate market without taking on the responsibilities of a landlord or a house flipper. Investors are now wanting to invest in notes as a way to generate a steady and dependable passive income without doing all the work. In truth, investing in notes requires little work once the transaction is settled. You act as the creditor who provides financing to fund the property. 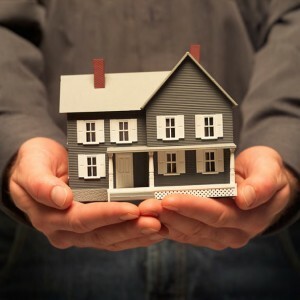 The borrower, as the owner of the property, is responsible for taking care of the property, whether they are living there, renting it out, or remodeling it for “flipping”. You, the creditor, have no responsibilities and will never be billed with extra costs or taxes to maintain the property. There are two types of notes: performing and non-performing notes. Performing notes is when the property owner is on time with all payments. Performing notes offer a low level of risk and a steady income. Notes become non-performing when the property owner fails to make payment. When you invest in notes that are non-performing, you are aware that there is a chance you will need to take the property to foreclosure to recover your invested fund. However, because of the risk, non-performing notes are often sold at a discount, which means the investor can potentially gain a big return. Like other investments, investors can choose among properties for the one that fits their risk appetite. Once the notes are in your hands, you will have little to worry about. In order to choose the right property, however, you need to do research on the property and it requires a certain level of expertise to accurately analyze the risk and earning potential involved. At Prudent Consulting, we take care of the due-diligence and present you with the best investment opportunities from our trustworthy partners. Contact us today to find out more about opportunities in notes investing!